Wishing for a jazz career but concerned about how you’ll be able to pull it off? We’ve talked with a number of faculty and recent graduates of jazz programs at music schools across the U.S. to give you a sense of what you can do with a jazz degree, how to get the most out of your college program, and what to do when you first graduate to start building your jazz career. What does a degree in jazz prepare you to do? 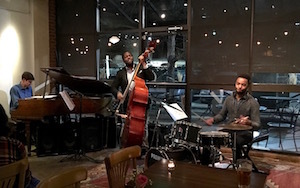 Recent graduates with jazz degrees agree that their education provided them with a strong background in technique, theory, harmony, rhythm, aural skills, sight-reading, and composition –– as well as flexibility, adaptability, and the skills and background necessary for moving into additional areas of music. 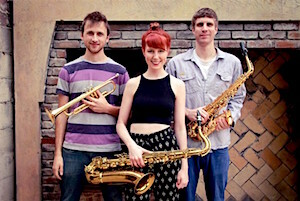 What are recent jazz grads up to? • Vocalist, composer and saxophonist Amber Navran, B.M., Jazz Studies, University of Southern California (USC) Thornton School of Music, writes and performs with her band “Moonchild.” She also teaches woodwind lessons, arranges, composes, transcribes, and does chart editing. • Composer and saxophonist Brett McDonald, M.M., Jazz Studies, Mason Gross School of the Arts at Rutgers; B.M., Jazz Studies, University of North Texas, performs in musical theatre pit orchestras in the U.S. and internationally. When he’s not on tour, he’s arranging, composing, and has also become an engraver of music (the art of typesetting music typically for publication). 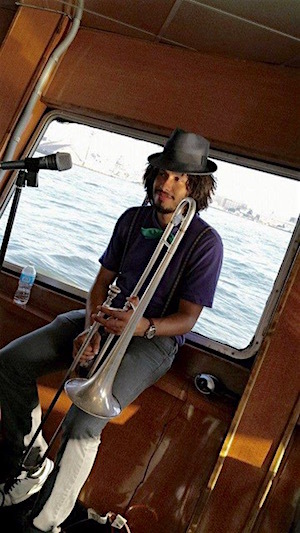 • Multi-instrumentalist Daniel Weidlein, B.M., USC Thornton School of Music, is a Los Angeles-based musician (saxophones, keyboards, flute) who has performed on film and television. He writes, arranges, takes studio gigs as a vocalist and instrumentalist, and produces music for his own and others’ bands. He’s produced or engineered over 40 albums in the past five years. He also sings bass with several professional a cappella groups and directs large Broadway-style performances for Transcendence Theatre Company. • Pianist Paul Shinn, D.M.A., University of Colorado Boulder College of Music; M.M. 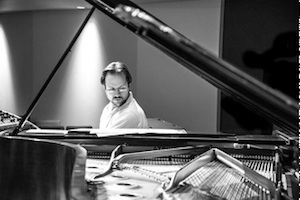 University of North Texas; B.M., University of Missouri-Kansas City Conservatory, performs throughout the U.S. and abroad as a solo artist and with the Paul Shinn Trio. He also performs with several big bands and a Latin jazz group. With his new doctorate degree, he expects to be teaching on the college level while continuing to be a dedicated performer. 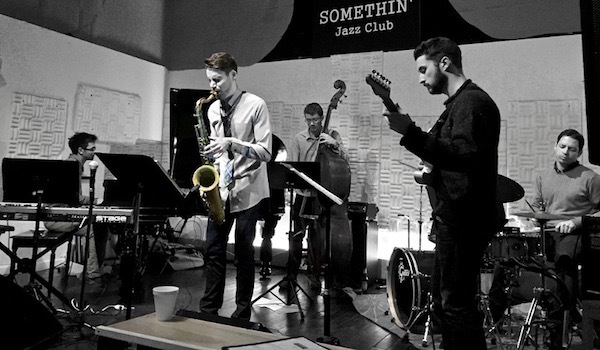 • Saxophonist Mike Casey, B.M., Jackie McLean Institute of Jazz at The Hartt School, is a Connecticut-based saxophonist and composer who performs with the Mike Casey Trio and with pianist Marc Cary and the “Harlem Sessions” project in New York City. In his private studio and at several community music schools, he teaches theory, jazz improvisation, and woodwind lessons. He was one of two dozen young jazz musicians/composers selected worldwide to be part of the Betty Carter Jazz Ahead program at the Kennedy Center in Washington, D.C.
• Jazz saxophonist Greg Johnson, D.M.A., M.M., USC Thornton School of Music; B.M., University of Northern Colorado, can be heard on his own albums and those of at least 50 others. He is currently director of Jazz Studies at the Marin School of the Arts and an adjunct instructor at Dominican University of California. He freelances with a few well-known pop groups, travels around the world as a performer, and composes for a variety of musical formats. The valid question here is not, “What can one ‘do’ with a degree in jazz,” but “What do you want to do with your life?” Because what you want to do with your life is what will drive what you do after you get a degree. Some people who get a degree in jazz become famous jazz performers. Some work at Starbucks. Some become graphic designers. Some teach high school band, etc. The degree doesn’t mean you get to work in jazz and make a good living the rest of your life. Life as a performer or composer can be very tough, and full of uncertainty, highs and lows. At the least, getting a degree in Jazz will help you to know if you actually want a life in jazz. If and when you determine that you really do want that life, then the question becomes whether or not you can attain your own measure of success. Your ambition, focus, creativity, discipline, attitude, and grit will determine that. See “Jumpstart Your Career in Music” by Keith Hatschek, director of the Music Management program at University of the Pacific Conservatory of Music. Greg Johnson (sax) recording his album “City People” at Daniel Weidlein’s B(e)at Cave recording studio. Pianist Paul Shinn performs throughout the U.S. and abroad as a solo artist and with the Paul Shinn Trio. Freddy Gonzalez has been touring the world with Grammy-winner Alejandro Sanz.